Craig McDean is accustomed to shooting pop idols en grande forme-a playful Madonna, for example, on the cover of Vanity Fair or in a worldwide campaign for Yves Saint Laurent. Lifescapes shows that he is also adept at challenging our perceptions of the big picture. 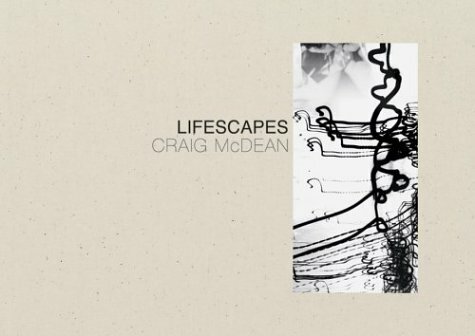 McDean calls this collection Lifescapes rather than landscapes because the images represent his private views-vignettes from his own travels, his road trips across the world. For each image, he picked five or six different shots and merged them into one, doing so in a limited amount of time to maintain a feeling of spontaneity. Although McDean employed modern digital equipment to accomplish the blending, he did so in a manner that faithfully duplicated darkroom processes. The resulting scenes retain the integrity of the techniques practiced by the landscape artists and visual storytellers of yore, tempting the imagination. The viewer’s journey includes masterful collages of motorcycles, skyscrapers, and Cadillacs. In one instance, shadowed images of beachgoers in Brazil share the sand with a high-rise building and a gigantic version of McDean’s wife wading into the ocean. McDean captures the American fascination with iconographic architecture while paying attention to lines, angles, and conflicting imagery. It’s an amazing way to see the world without ever getting into a plane, train, or car.